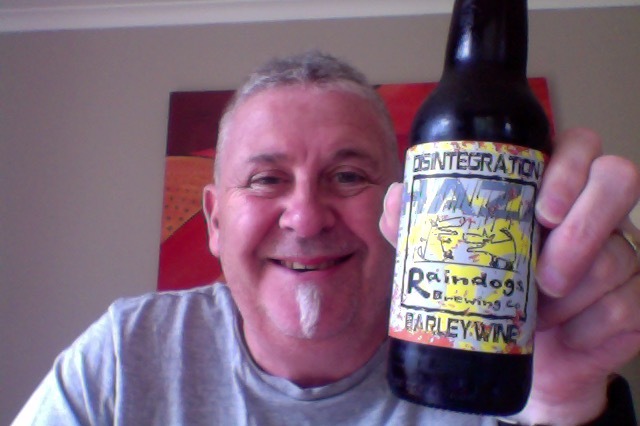 Raindogs Disintegration Barley Wine . It is neither desert time, nor do I have a cigar, but there is something compelling about having a Barley Wine because for me they are the peak of beers. This is a 2014 vintage. It deserves to be let free. This is a 330ml bottle of a beer that is 12% ABV, which is around the 360 calories, and this bottle would be 3.12 standard drinks. Disintegration is a strong, malty beer designed to be cellared to allow complex flavours to develop with time. Don’t rush this one, put away for a year or two and bring out for a special occasion. The aroma on opening is a thick dense chocolate over some rich steeped fruits. The pour is of a muddy brown of a beer that looks really flat, there does not seem to be a lot of life in whatever escaped. It sits in the glass like a cold coffee. In the glass the aroma moves to a more milk chocolate note. Carried on a warmth of alcohol tang there is sweetness and softness, a full explosion of toffee richness a really extravagant taste. 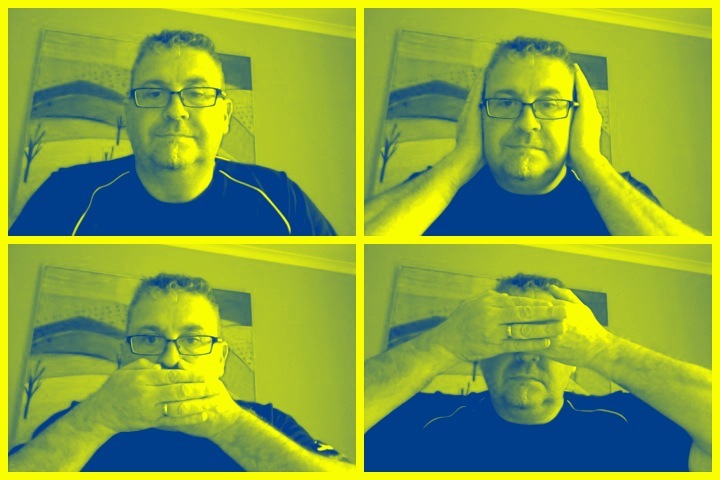 Almost enough to make you wince with fear and cower, but not that much that it scares you away, you revisit to check and savour, ponder and muse. This is extraordinarily deep for a beer. I let this warm a little and it got even more legs! A lovely deep rich beer, a properly decent Barley Wine and despite my thinking otherwise a sunny afternoon is a perfect time for this, as I contemplate the slip into a more relaxed state of mind to enjoy the late afternoon sun whilst sitting in a shaded pat of the garden. The pdubyah-o-meter rates this as 9 of its things from the thing. I really would like to have seen at least an effort at a head, even a dirty film would have made this the best beer. But looks deceive and this is a startlingly good beer, deep, flavourful and glorious. Where did I get it? The Fine Wine Delivery company had some, but they’re in good places all over. Would I share with a friend on a porch and set the world to rights? Yes, this would be a perfect contemplation and shooting the breeze beer. 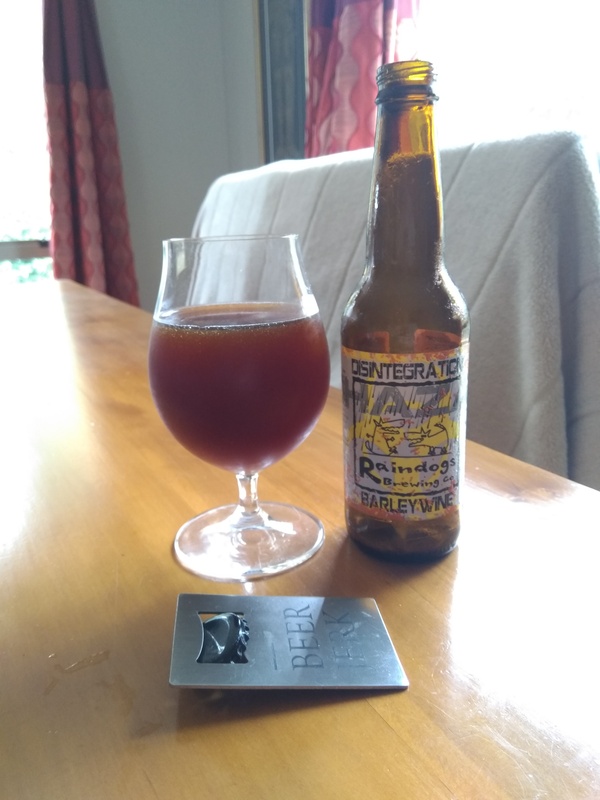 This entry was posted on February 2, 2019 by Philip Walter in Barley Wine, Beer, Beer of New Zealand, Beer Review, Brewed By, Craft Beer, Critic, Raindogs and tagged Barley Wine, Raindogs Brewing, Raindogs Disintegration.